When Al Green released The Belle Album, it was a very different album to those that preceded it for several reasons. Belle reflected the changes that were happening in Al’s personal life. For several years, religion had played an important part in his life. During that period, he’d struggled to come to terms with its influence. It was difficult for him to reconcile his professional life with his newfound spirituality. His problem was, how could he sing about love and the pleasure of love, when deep down, he felt he should be singing about God. This had an effect on his success. Between 1972s Let’s Stay Together and 1974s Al Green Explores Your Mind, Al released five albums. Four of them, 1972s Let’s Stay Together, 1973s Call Me and Livin’ For You then 1974s Al Green Explores Your Mind were all certified gold. 1972s I’m Still In Love With You sold over one-million, resulting in a platinum disc. Then despite Al Green Is Love reaching number twenty-eight in the US Billboard 200 and number one in the US R&B Charts, it wasn’t even certified gold. Al’s golden period was over. Neither 1976s Full Of Fire nor Have A Good Time recaptured the success that Al Green had enjoyed. However, by 1977, Al Green had resolved the problems. 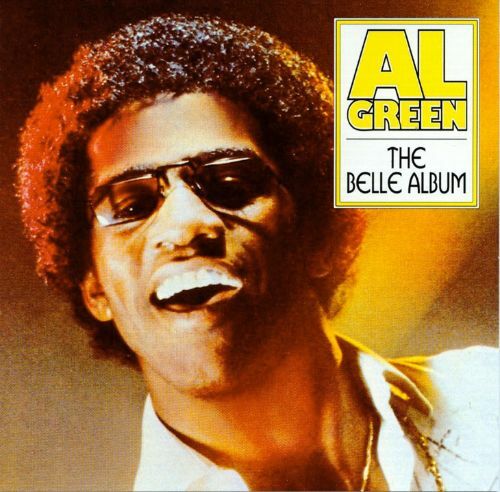 By 1977, when Belle was released he’d managed to resolve these problems, and Belle was the first album from the new Al Green, and was a celebration of something new, his feelings about religion and God. The Belle Album which was recently rereleased by Fat Possum Records, was also the first album Al recorded without Willie Mitchell and the Hi house band. Al’s split with Willie Mitchell wasn’t acrimonious, because Willie felt he wasn’t qualified to work on what would be a contemporary gospel influenced album. So without Willie Mitchell, Al became songwriter, bandleader, producer and even lead guitarist of his own band. For The Belle Album, Al cowrote the eight the eight tracks with Fred Jordan and Reuben Fairfax Jr. The Belle Album was recorded at the American Recording Studio. Using musicians he’d previously worked with eight songs were recorded. Al’s band included a rhythm section of bassist Reuben Fairfax Jr, drummer Ardis Hardin and guitarist James Bass. Leon Thomas played clavinet and Fender Rhodes, while Johnny Brown played piano and Fender Rhodes. Fred Jordan played Fender Rhodes, Roland String ensemble, trumpet and flugelhorn and John Toney played drums and syndrum. Just like other Al Green albums, a horn section and backing vocalists were part of Al’s trademark sound. Unlike previous album, the Memphis Horns were missing. Backing vocalists Rhodes, Chalmers, Rhodes were also missing. The Belle Album was the start of a new era for Al Green in more than one way. Would it be a successful era? The Belle Album was released in December 1977. Although the album was well received, with critics praising Al’s vocals, the album didn’t sell well. It stalled at number 103 in the US Billboard 200 and number twenty-nine in the US R&B Charts. This was his least successful album since his 1967 debut album Back Up Train. Although Al’s last few albums, hadn’t sold well, The Belle Album was the least successful. Even the singles didn’t sell well. Belle stalled at number eighty-three in the US Billboard 100 but reached number nine in the US R&B Charts. I Feel Good then failed to chart, reaching number 103 in the US Billboard 100 and number thirty-six in the US R&B Charts. Al however, wasn’t alone. It wasn’t just Al Green’s albums that weren’t selling well, many formerly successful soul singers were experiencing the same problems, with disco now the most popular musical genre. Since the release of Belle, the album is now seen as one of Al best, and most important albums. This was one of the last secular albums Al recorded, after this, he recorded gospel albums. Thirty-four years since the album’s release, the big question is, how good an album was The Belle Album? Opening The Belle Album is the title-track Belle, probably the best know song from the album. Belle has a lovely gentle and melodic introduction, with piano, keyboards, rhythm section and guitar combining before Al sings. Like his band, Al sings gently, but with passion, his delivery of the lyrics heartfelt and sincere. As the song progresses, his voice strengthens, laden in passion and sincerity as he gives thanks to God. Behind him, the arrangement is beautiful, with strings lushly sweeping, keyboards and piano combining melodically, while drums provide the track’s heartbeat. The arrangement has an understated quality, with Al’s vocal and the lyrics taking centre-stage. When you listen to the lyrics, Al’s spiritual awakening is apparent, and you can’t help admire his heartfelt and sincere delivery of some deeply spiritual, yet beautiful lyrics. Quite simply, it’s the best track on the album. Loving You opens with Al’s vocal loud and clear, accompanied by the rhythm section, piano and guitars. Straight away, Al gives thanks to God for what he has done for him. Quickly, the track mixes elements of Southern Soul, gospel and even funk. Horns soulful and funky, punctuate the track. Backing vocalists almost rejoice, take their influence from gospel music, and strings with the Hi sound sweep tenderly in the background. Al meanwhile, is delivering a joyful vocal, one that sees him use his full vocal range. Although his music was moving away from secular music, it’s still sung with passion and feeling. The backing singers contribution is huge, really lifting the song, when they joyfully unite. By the end of the track, Al has given an outstanding vocal, rolling back the years. Together with a really soulful, joyous arrangement, it seems Al’s back. When Feels Like Summer begins, it has a very different sound and feel to the previous track. The arrangement is much subtler than the previous track, with the a strong bas line opening the track, accompanied by drums, piano and guitar. Al’s vocal is much more restrained as the track begins, but still his delivery is loud, clear and heartfelt. Throughout the track, the bass is prominent, at the front of the mix, while strings, piano, guitars and drums combine. Al’s vocal grows in power and passion, as hollers, shrieks and roars his way through the track. It’s as if after years of torment Al’s reconciled his music to his religion. The lyrics and the happiness he sings of, reflects this. Although different to the two previous tracks, Al’s happiness is almost infectious. Al has another surprise up his sleeve on I Feel Good. It opens with blazing horns, the rhythm section, synths and guitars driving the song along, mixing funk, soul and even disco. This track is very different, and it’s as if it’s Al response to disco’s popularity. It’s funk with a capital F, thanks to the rhythm section, horns and guitar, but the additional of sweeping synths, brings to mind the disco sound that was really popular back then. Al gives a really joyous, impassioned vocal. Here, backing vocalists play a huge part in the track, accompanying Al throughout the track, with their vocals helping the track to stray into disco territory. I wonder what Willie Mitchell said when he first heard the track? It’s a dramatic and somewhat hectic mixture of the rhythm section, guitars and piano that opens Chariots of Fire. However, Al’s just messing, and on the count of four, the track starts for real. What follows is one of the most passionate vocals and uber funky arrangements on Belle. Al’s vocal is power personified. He’s roaring and nearly screaming, but with a heartfelt joyousness as he sings the lyrics. Behind him, his band match his passion, with horns blazing, the rhythm section turning up the funk, guitars chime and soar while keyboards fill the gaps. Together with Al’s vocal, it’s a mixture some of the funkiest music you’ll hear on an Al Green album, combined with Al’s celebratory and euphoric vocal. In the end, it’s a potent and brilliant combination, from one of Southern Soul’s most famous voices. Closing The Belle Album is Dream, a lovely tender song. Al’s accompanied by guitars, piano and rhythm section. Here, his voice is much quieter and thoughtful, as he sings some quite beautiful lyrics. Backing vocalists and strings, sweep in, with the backing vocalists complimenting his voice beautifully. Meanwhile, lush strings sit at the back of the arrangement, as drums veer between providing the track’s heartbeat and adding drama. Adding the drama are the guitar solos. When all this is combined, the result is a near eight-minute epic. It’s easily one of the best tracks on The Belle Album. Al and this backing vocalists unite. They feed off one another, taking the other to new heights of soulfulness as the arrangement builds and builds, reaching a dramatic crescendo. Quite simply, it’s the perfect way to end The Belle Album. Although The Belle Album wasn’t a huge commercial success, it’s an album that features some wonderful music from Al Green. This was his first album without Willie Mitchell arranging and producing the album. It was also Al’s first album without the Hi house band backing him. So Al produced the album, with Fred Jordan and Reuben Fairfax Jr associate producers. Together they produced an album that was quite different to previous albums. Here, the music reflected his newfound spiritual awakening, with various songs celebrating this. Another difference was the style of music on the album. The Belle Album wasn’t just an album of Southern Soul. No. It features Southern Soul, funk, gospel and even disco. On The Belle Album, these influences can be heard. Throughout the album, one thing is constant, and that’s Al Green’s passionate delivery of each song. He delivers each song with passion, his delivery ranging from heartfelt and sincere, to soulful and funky. During the album, Al demonstrated all this and more, singing songs he’d co-written with Fred Jordan and Reuben Fairfax Jr. This was the first time he’d recorded an album of his own material. These songs were perfect for his voice, and where he was in his life back then. They were a mixture of secular and spiritual, and demonstrated Al’s talent as a songwriter. Sadly, The Belle Album which was recently rereleased by Fat Possum Records, wasn’t a commercial success. Indeed, The Belle Album is one of the hidden gems of Al Green’s back-catalogue. Most people will only be familiar with the single Belle. However, there’s much more to The Belle Album than just one track. The Belle Album is an opportunity to hear Al Green at his most versatile. He shows there’s much more to Al Green than Southern Soul. Much more. It also finds him much happier. Relaxed and happy at having reconciled the dichotomy that haunted him for several, Al Green began a new chapter in his long career. Sadly, despite the quality of music The Belle Album didn’t match the commercial success of his golden period between 1972s Let’s Stay Together and 1974s Al Green Explores Your Mind. During that run of five critically acclaimed albums Al Green was King of Southern Soul. Now three years later, the King of Southern Soul had regained his crown with The Belle Album, a hidden gem in Al’s back-catalogue. Standout Tracks: Belle, Feels Like Summer, All ‘N All and Dream. ← YOU TOOK IT ALL FEATURING YAZMINE AZAIEZ-NUTRITIOUS DELICIOUS REMIX.